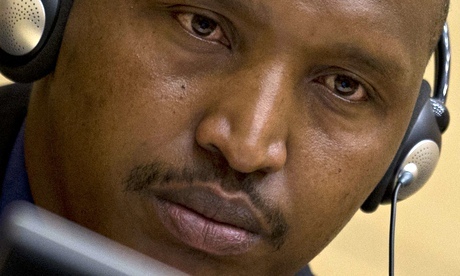 The OTP relied exclusively upon sources using anonymous hearsay in the application it made before ICC Pre-Trial Chamber II to detain Bosco Ntaganda. This evidence included blogs, newspaper articles and unconfirmed evidence in a UN expert report compiled upon the region. In the Appeals Chamber, Judges Usacka and Van den Wyngaert dissented from the majority who condoned the approach of the Pre-Trial Chamber, citing that it was: “highly problematic that the reports do not clearly identify the sources that they rely upon for the relevant information” and “standards applicable to information gathering for such purposes are very different to those applicable in criminal trials and decisions to deprive an individual of their liberty” (per Judge Usacka). The point is made that the Defence cannot challenge allegations made in such form. The dissenting Judges referred to the experience of the ICTY where a more cautious approach to such evidence has been adopted. One can imagine that the OTP has not checked the accuracy of the sources for itself. The dangers of reliance upon evidence such as this cannot be stressed enough. Proper research by the OTP into the background and sources of media reports (including the BBC) and blogs it uses in evidence would often provide it with information as to the bias of the original source, which may have deliberately issued unfounded and misleading information to discredit an opposing side. The OTP should be more wary as to how easy it is to be manipulated by this type of evidence, which, once added to the evidential pot, is capable of reinforcing an already false narrative. Commentators and media reporters are also particularly prone to manipulation by parties in conflicts, often failing to grasp the political alliances of their sources. The OTP should therefore be independently investigating cases, checking evidential accounts of alleged witnesses for their truth, and vigorously seeking accurate and true evidence to avoid being a conduit for a false narrative.